So... you ran out of time, did ya? Or, maybe you're just not sure what to buy for someone special? Well, no worries! Our Gift Certificates are the perfect choice! 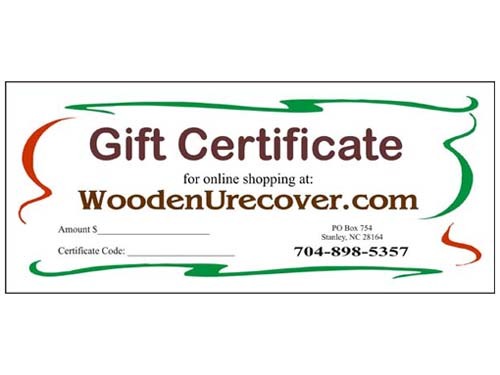 Gift Certificates may be used to purchase any of our unique recovery gifts online at WoodenUrecover.com. Please be sure to choose the appropriate amount for your Gift Certificate. Our Gift Certificates never expire and we keep a running balance of unused funds for you!